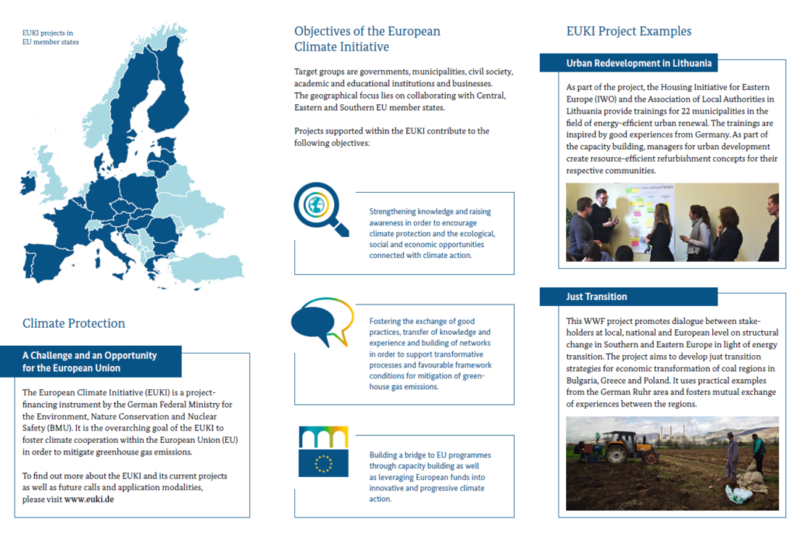 The European Climate Initiative (EUKI) strengthens European cooperation in climate protection and is active in 26 EU countries. With a competition for project ideas and tenders along main policy priorities of the German Federal Environment Ministry (BMU), 53 projects have been selected for financing. Our flyer explains the work of EUKI, who we address and what the initiative’s goals are.